Team selection for random battles is done according to several parameters. Each battle takes place in a so-called battle tier, and team balancing within this battle tier takes place according to vehicle specific weighting and additional restrictions. To find the above link, click on the maximize icon in the bottom right corner of the chart and then copy the link from the browser's address bar. Battles can take place in eleven possible different battle tiers. Each vehicle, depending on its performance, is assigned a certain subset of these battle tiers that it is supposed to fight in. 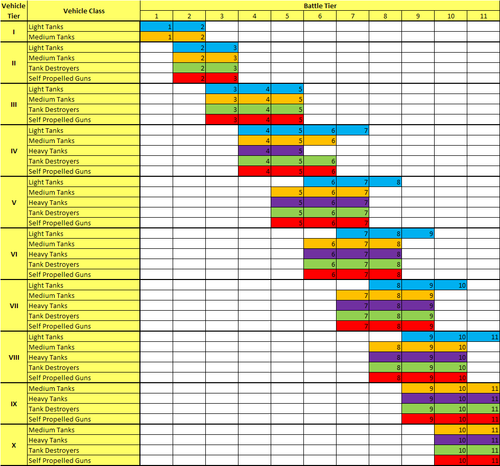 The matchmaking chart shows which vehicle belongs to which battle tier. An English version can always be found here. It sometimes takes Wargaming a while to update it after patches, in this case you can refer to the Russian version, which is usually updated much faster. Players often confuse battle tiers and their vehicle's tier. The matchmaker does not try to match vehicles by vehicle tier. 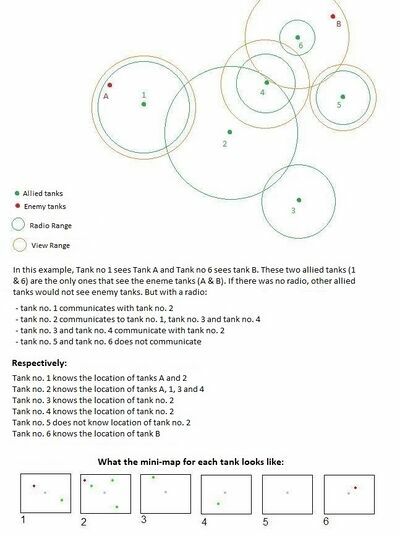 For example, a T-50 Light Tank is a tier 4 vehicle assigned to battle tiers 4-7, while the M3 Lee which is also tier 4 is only assigned to battle tiers 4-6, this means that despite both vehicles being tier 4 tanks, the T-50 can potentially see tier 7 tanks in battle while the M3 Lee will only ever see vehicles as high as tier 6. 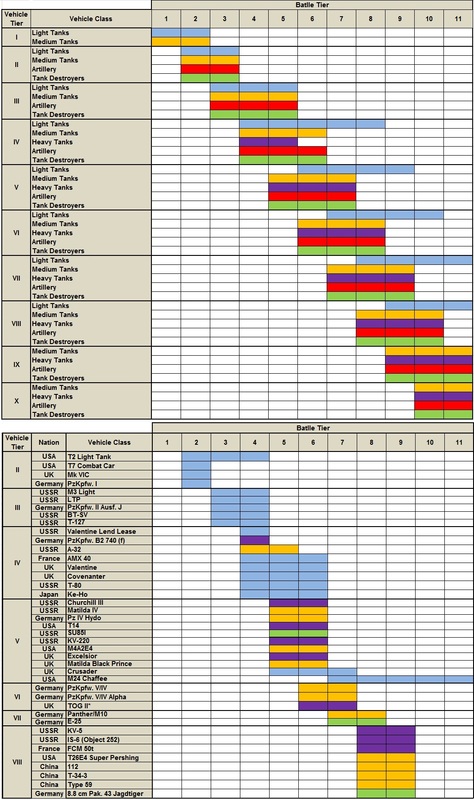 To see which battle tiers a vehicle can fight in, find it on the left side of the chart. If it is not listed as an exception at the bottom left, the default rules above apply. Take, for example, an MS-1. No special rule, thus we go find the row for Vehicle Tier 1, Light Tank, and see to the right that this vehicle can fight in battle tiers 1 and 2. Scrolling down, we see that nothing except tier 1 light tanks and medium tanks can fight in battle tier 1. For battle tier 2, we see that the MS-1 can meet tier 2 tank destroyers, SPGs (aka artillery), light and medium tanks as well as the T2 Light Tank listed at the bottom. 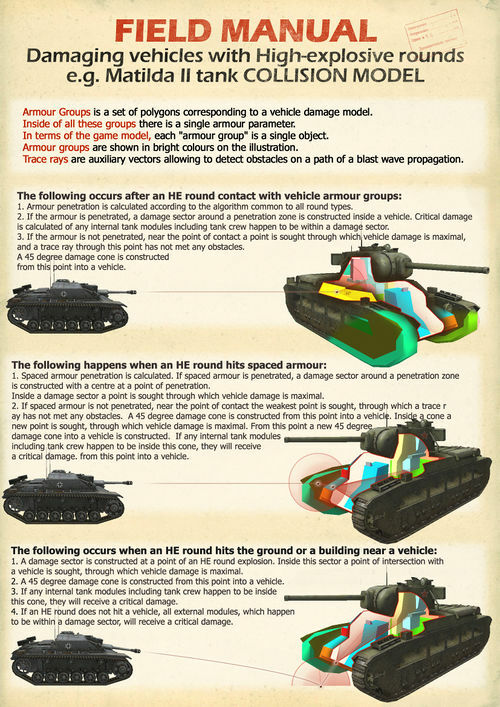 The applicable battle tiers for each vehicle are also shown on the right sidebar of each tank's page on this wiki. All Heavy Tanks and SPGs receive 20% extra weight. Tier 9 and 10 Medium Tanks receive 20% extra weight. Tier 6, 7 and 8 Light Tanks receive 20% extra weight. M24 Chaffee is weighted like a tier 6 tank. The Comet is weighted like a heavy tank. The M4A3E2 Sherman Jumbo is weighted like a heavy tank. IMPORTANT: If you are in a platoon, the entire platoon is placed into battles according to the platoon member in the vehicle with the highest battle tier. This can produce unwanted results in particular for new players at the lower tiers. For example, a tier 4 scout can enter battles up to tier 7, whereas a tier 4 medium tank on its own can only join battles up to tier 6. If these platoon together, the scout will pull the other tank up into its battle tier, where the other tank will usually be hopelessly outclassed. Please take this into account when forming platoons. A special case of this is when you see a top tier tank platooned with one or two tier 1 tank. This is sometimes done on purpose. If you look above, a tier 10 heavy tank weighs 145 points, whereas a tier 1 tank weighs only 2. Thus the platoon's team a priori has a massive point deficit, which the match-maker will balance out by either dragging more lower tier tanks into the enemy team or by dragging more high tier tanks into the platoon's team. The tactic is frowned upon but permissible. It has become rare these days, likely because the success chances are mediocre. 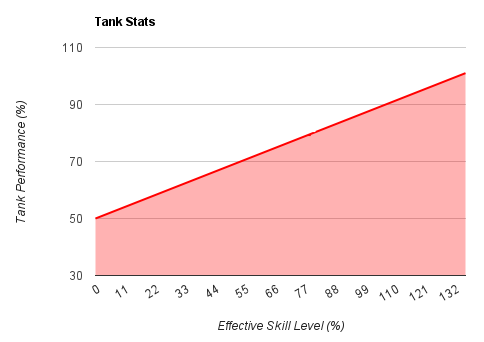 With two tier 1 tanks the team is missing 13.3% of its team that could play a useful role during the battle, whereas the only useful contribution the tier 1 tanks can make is sneak into the enemy cap. Standard Battles in battle tiers 1 to 3 take place on a limited subset of the available maps only. This is done to allow new players to familiarize themselves with these smaller maps while they learn the basics of the game. Also except for Karelia, these are the smallest/most compact maps in the game, better suited for the very limited low tier tanks. Province is limited to battle tiers 1 through 3. Important note regarding camouflage skins: All (as of 9.2) of the maps listed for battle tiers 1-3 are summer maps. This means that tier 1 and 2 vehicles (see the Matchmaking Chart above for exceptions) will never see a desert map. So, for now at least, purchasing a desert camo skin for these vehicles is a complete waste, and a winter camo skin is minimal at best. The performance of your tank depends directly on the qualification of its crew. Each crew member is fulfilling one or several roles in your tank and the performance of your tank in those areas depends on their effective primary skill levels. For example, reload time depends on the Loader's skill. Since the commander provides 10% of his own skill level as a bonus to each crew member, he is also relevant for every stat of your tank. If you have more than one crew member responsible for the same stat (e.g. two Loaders), then the average of their effective skill levels will be used to calculate the effective stat. Refer to the Crew page about for more details about which crew member affects which stat of your tank. A degressive stat is, for example, your aiming time, which becomes shorter as your Gunner's skill level increases. A progressive stat is, for example, your view range, which increases as your Commander's skill level increases. 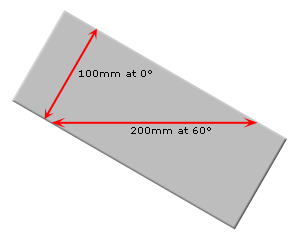 Note further that the values displayed in game are just approximations because the actual values are either rounded to the nearest integer or only the integer part is shown without any rounding. This is not only inconsistent, but also means that since 0.7.2 you can unfortunately only calculate an approximation of your effective stats based on what is shown in game. There is a penalty for the XP earning. If the tank was not destroyed before exiting, further XP can be earned passively while it remains on the battlefield, e.g. for spotting enemy vehicles. Damaging an ally's tank, even if said ally is "blue"
For receiving damage without fighting back. As stated above, your shells have to damage your attacker. A specific bonus for "killing all enemy tanks" does not exist, but as listed above, the entire team receives more XP the more damage to enemy tanks is inflicted by the team. Free experience can be used in the research of any vehicle instead of just the vehicle it was earned with. A standard battle can be won either by destroying all enemy tanks or by capturing the base. 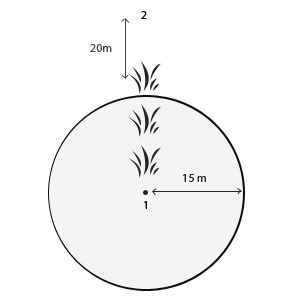 To capture the enemy base, your tank must drive into the white circle in the enemy base (commonly referred to as the cap circle or simply cap). A green bar with the title "Enemy Base Capture :" appears at the top of the screen for your entire team. Your tank must remain within the circle until the capture bar reaches 100%. Each tank in the capture circle generates 1 capture point per second. You cannot generate more than 3 capture points per second. Once you have completed the capture, the title of the capture bar changes to "Enemy base captured!". Draw Distance - a technical limitation to being able to see tanks and other objects in the 3D world. Maximum is 707m. Draw Distance is the maximum distance at which objects are drawn on your screen by the rendering engine. The bigger the draw distance, the more computing power is required both for client and server. The rendering engine used by World of Tanks sees the world as cubes. The map itself is a cube, and every object within that map cube is drawn within an invisible cube centered on and aligned to your view point. Everything near the boundaries of this cube starts to fade into a distance fog and everything outside of the boundaries is entirely invisible to you. This cube is your draw distance. If no vision rays reach their target, you will not spot it. But if at least one of the six vision rays reaches the target, you will spot the vehicle and it will light up if it was previously hidden. At this point it makes no difference if any of the other visions rays would reach their target as well because. First example: 400 - (400 - 50) * 0.929140625 = 95.01m spotting range. See the illustration to the right for an example of a more complex situation. A common misconception is that the listed forward/reverse speed of your tank is an indication of the speed your tank should drive at. That is not the case. Instead, this stat indicated the speed limit of your tank's transmission system. For many tanks it's a speed you may only see while going downhill. While there are some tanks which can reach their speed limit on flat ground, other tanks can only reach it on a downhill slope and some may never reach theirs at all. Prior to 8.0, this stat was a hard limit that could not be exceeded no matter what. Now, it's based on weight vs. engine power, and can be exceeded under the right conditions. The hull traverse speed or turn rate of your tank defines how fast your tank can turn its hull. It depends on the installed suspension and your acceleration. 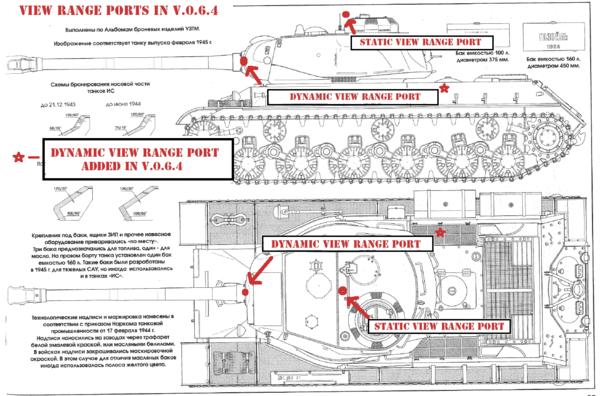 Note that some tanks can traverse their hull on the spot (pivot) while others can only do it while driving forwards or backwards. Although traverse speed is affected by both engine and suspension, in game tank specifications only show the change in traverse speed when different suspension is mounted, but not when different engine is mounted. This means that tracks info only shows values for stock engine, and it can be very confusing and misleading because some vehicles gain a lot of traverse speed by mounting stronger engine, but this change is not visible in tank specifications. One of the most obvious examples of this is E-75 which in game listed traverse speed for top suspension is 21° and this is only true for its stock 650 hp engine, with its top 1200 hp engine, its traverse speed is a lot greater than 21°. A new physics system was added to the game in version 0.8.0. The system is best experienced rather than read about. No longer do hills have lines that you simply cannot cross. The steepness of the terrain you can climb is now determined by your tank's weight, horsepower, and the speed it was going before it started climbing. While the penetration indicator is an invaluable tool in discovering a target's weak spots, always be aware of its limitations. 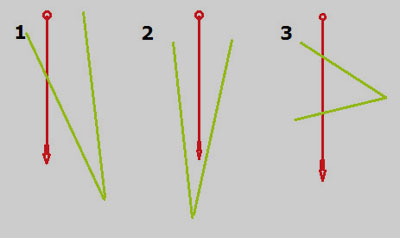 It is a simple comparison of your penetration rating versus the target's armour thickness along the normal at the aim poin and does not take into account the impact angle, so even with a green penetration indicator your shot may still ricochet or fail to penetrate the target's effective armour thickness. Also, because of dispersion affecting every shot you take, you may not actually hit the weak spot you were aiming for. If your target is moving perpendicular to you, you always have to adjust your aim manually. This is also called leading the target. Factoring in your shell's flight speed, you have to aim where you estimate the target your shell's trajectory intersects with with the target's movement. For example, if your shell flies 1000 m/s on a flat trajectory (e.g. AP shells fired from the 8,8 cm KwK 43 L/71 "long 88" of the Pz.Kpfw. VI Tiger), and your target is 500m away, your shell takes little more than half a second to reach it. If your target is a light tank moving perpendicular to you at 72 km/h, i.e. 20m/s, theoretically you need to aim 10m in front of it to hit it. The aiming circle, also called dispersion circle, dispersion indicator or reticle, describes the area of 2 standard deviations σ from the aim point. Based on a purely normal distribution that would mean that 4.2% of your shots would fall outside of the aiming circle. They are moved to the edge of the circle, so they dont fall outside. However, there is a minor ammount of 0.2% of shots that lands outside the circle. Gun Damage: A damaged ("yellow") gun typically fires with halved accuracy for as long as it remains damaged. Turret Rotation: Rotating the turret results in a temporary accuracy penalty. The exact amount depends on the installed gun and the speed you rotate the turret at. Vehicle Movement: Moving your vehicle forwards or backwards temporarily reduces accuracy. The exact amount depends on the installed suspension and the speed you are moving at. Vehicle Rotation: Rotating your vehicle left or right temporarily reduces accuracy. The exact amount depends on the installed suspension and the speed you are rotating at. The aiming time listed for each gun (in a specific turret) describes the time it takes for the aiming circle to shrink to a third of its size. A wounded gunner will increase the aiming time. The effect is removed if the Gunner receives first aid via a consumable such as a health pack. However, most of the penalties described above increase the aiming circle by a factor bigger than three, which is why fully aiming the gun typically takes longer than the listed amount of time. It is unclear whether only the aiming point or also the dispersion of the trajectory around this center point is corrected based on server data. At least in v0.7.1, if you watch a replay, you can notice that each time you play it, your trajectory will be slightly different. This indicates that either dispersion is not synchronized between client and server, or that it is during a battle but that data is missing in the replay files. In any case, currently replays cannot be used to find out where your shot went exactly. 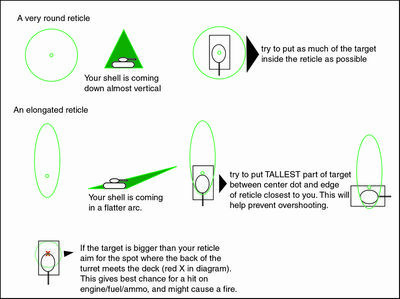 If the normalized impact angle of an AP or APCR shell on the target's armour exceeds 70° (85° for HEAT), a ricochet (a specific variant of a bounce) occurs regardless of its penetration value and the shell is deflected off the target without causing any damage. You may ricochet off of spaced armour as well, and even if you penetrate that your shell may still ricochet off the underlying hull armour. If the AP or APCR shell's caliber is 2 times or more than the nominal thickness of the armour (Such as a 120mm shell hitting a 60mm thick plate), projectile shell normalization is increased by the following formula: basic normalization * 1.4 * shell caliber / nominal armour thickness. Note that the shell is still capable of bouncing if it strikes the armor at an angle of 70° or more from normal. If the AP or APCR shell caliber is 3 times or more than the nominal thickness of the armour (such as a 120mm shell hitting a 40mm thick plate), no ricochet will happen even if the impact angle is more than 70° from normal. 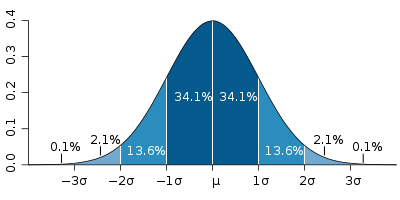 The increased shell normalization described above will also occur. As of 8.6, HEAT shells will start to ricochet if the impact angle equals or is greater than 80 degrees. The armor penetration after ricochet will remain the same. The same applies to your targets, of course, so always take that into account when deciding if and where to shoot them. Reducing the impact angle to your target only slightly will exponentially reduce its effective armour thickness and a target that was previously impossible for you to penetrate may suddenly become easy prey. This is also the reason why you should always attack from two different angles at once. 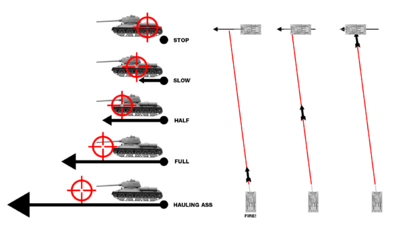 A target can only maximize their effective armour in one direction, as soon as they try to accommodate two possible impact angles they suffer an exponential loss in effective armour thickness towards both of them (thus if you are the one getting flanked while in a strongly armoured tank it is best to maximize your effective armour towards one opponent while shooting the other one). High-Explosive (HE) and High-Explosive Anti-Tank shells (HEAT) shells experience no penetration loss at all. 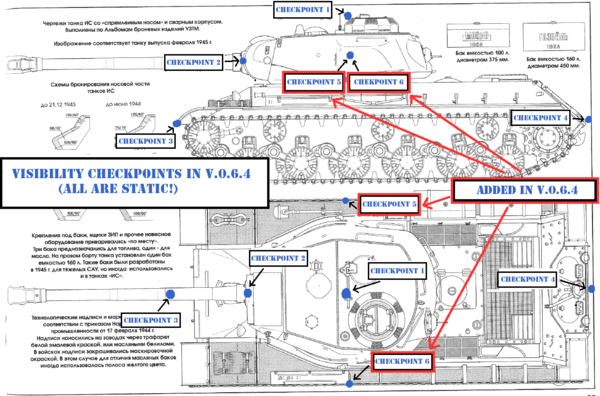 Note that the penetration model is simplified and after initially impacting a vehicle a shell is "bound" to this vehicle and cannot hit any other tank anymore. That means that a shell can neither ricochet off a tank to hit another tank within its deflected flight path, nor can a shell pass through a tank to hit another tank behind it. A shell's flight path also ends after impacting the ground or buildings. Each vehicle has hitpoints, displayed in the garage. Each vehicle enters the battle with 100% hitpoints because you must repair any damage taken by your vehicle in a previous battle before you are allowed to join the fight in it again. Each time the vehicle takes armour damage, its hitpoints get reduced. Once a vehicle's hitpoints reach zero, the vehicle is destroyed. During a battle, the remaining hitpoints of a vehicle are represented by the progress bars displayed over the targets you aim at. Spaced armour is a special type of armour that exists to deflect a shell's flight path and to protect against the explosion blast from high-explosive (HE) shells. Spaced armour is special in that it is separate from the hull armour. Damage applied to spaced armour does not reduce the hitpoins of the vehicle itself. If the shell exploded on the vehicle itself, then the propagation of the blast wave into the tank is simulated by calculating a cone-shaped area 45° wide originating from the point of impact of the shell along the normalized impact vector. Damage to internal modules and crew is possible within this area. If the shell exploded elsewhere and only the external blast wave impacted the vehicle, then no propagation of the blast into the vehicle itself takes place. Because of this no damage to internal modules and crew can occur. Yellow: This state signifies that a module has taken considerable damage (=>50%) but is still operational. Crew members have no yellow state. Fuel Tank: No effect* Though subsequent hits are more likely to set your vehicle on fire. Red: This state signifies that a module is in-operational/a crew member is knocked out. Crew members remain in this state unless a consumable is used to restore them to full health, whereas modules will automatically be repaired over time by your crew up to the "Yellow" state of being operational. Ammo Rack: Vehicle is destroyed unless there are 0 rounds remaining. Light, Medium, and Heavy tanks will have turrets 'fly' off. Each of these base chances to damage a module or knock out a crew member can be increased by 3 if the Deadeye perk is active for your Gunner at the time of a shot with an AP, APCR or HEAT shell. If the ammunition rack's hitpoints reach zero, it explodes, destroying the tank and its crew completely regardless of the remaining hitpoints on either of them. The only case the tank does not explode with a "red" ammo rack, is when the rack is empty.You can increase your ammo rack's hitpoints by installing "Wet" Ammo Rack equipment or by training the Safe Stowage perk on a crew member with the role of loader. There are two ways the enemy can set your tank on fire. Each time your engine gets hit, there is a chance that your tank catches fire. This chance depends on the engine and is displayed on the engine module's properties in game or here on the wiki. Note that the transmission counts as part of the engine. If you take module damage during battle, your crew will instantly start repairing it by restoring a specific amount of hitpoints to the module every second. The actual amount that gets repaired every second depends on the specific module itself (not just its type) and the effective repair skill of your crew. Your crew will only repair a damaged module just enough to make it operational again, i.e. it will remain in "yellow" or damaged state. The exact amount of hitpoints this state represents depends on the specific module as well. To get a module fully operational again and restore all of its hitpoints to it during battle you must use a consumable. The Small Repair Kit is bought for credits and allows you to repair one module during the battle (starting from patch 0.7.4 both tracks can be repaired at once if they are both damaged). The Large Repair Kit costs either gold, or, starting from patch 0.8.5, credits, and fully repairs all modules that are damaged at the time you use it. It will also provide a bonus of 10% to the crew's repair speed unless consumed. I don't see the target! Our ammunition rack is hit! Ammo stowage is hit! We're lucky it didn't blow! We've lost some ammo, but at least it didn't explode! We've lost half of our engine power! Grab a fire extinguisher and put that out! One of our gas tanks ruptured! We're low on fuel! Our main gun is damaged! It's working, but not very well! The turret ring is damaged! We can barely turn it! Hydraulics are down - we have to hand crank the turret! Dernière modification de cette page le 24 octobre 2015 à 18:14.